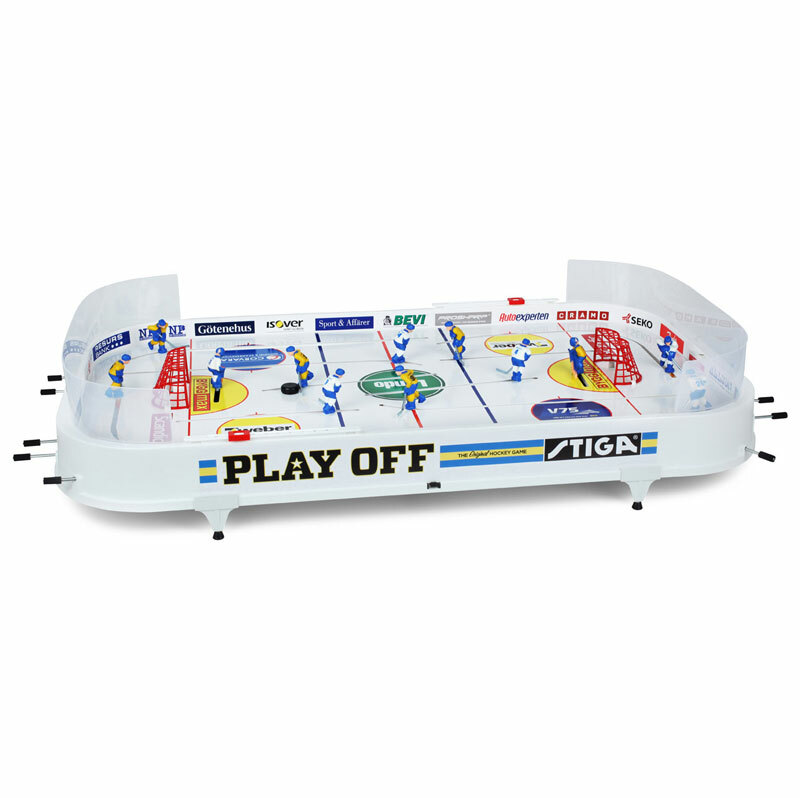 The Stiga ® Play Off Hockey Game is the official game at the World Championships in table hockey! 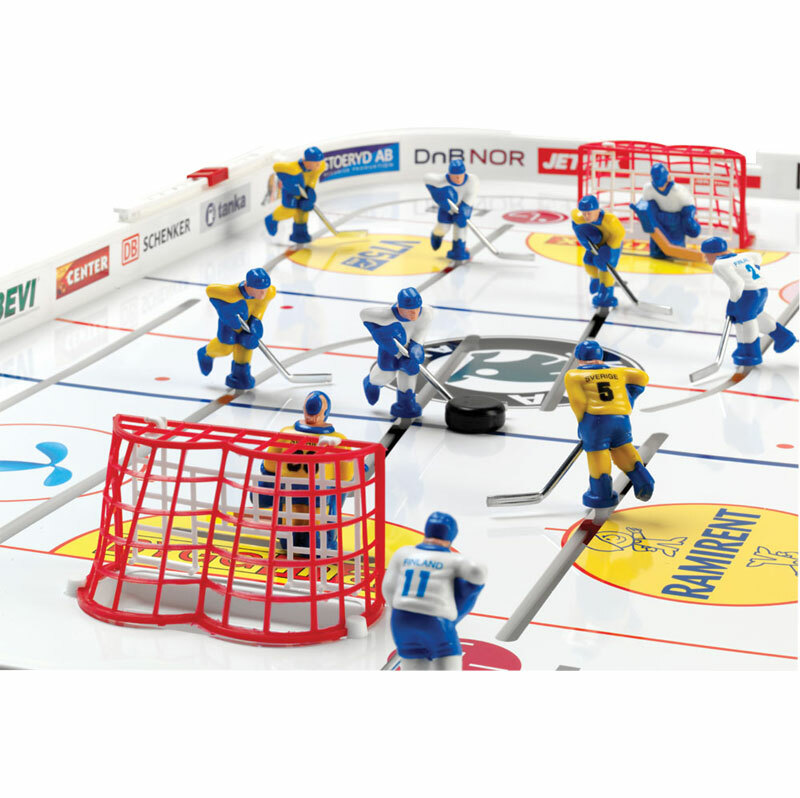 The development work which began in 1957 has in recent years been crowned by every player's movements having been optimised with the aid of virtuosi from the Swedish Table Hockey Association. With its injection-moulded rink made for tough treatment, stable legs which raise the game from the table and make it stand firmly, three-dimensional players with their own numbers on their backs, goal counters and plexiglass shields on the rink's short sides, Play Off is well equipped to satisfy your stringent requirements. Size: 96cm Length x 50cm Width x 10cm Height. Love this game, must be the best one available in this price range. Probably more loved by adults than kids, a great fun game for all the family . 5 out of 5 Best Present Ever! In the beginning it seemed a bit flimsier than Stiga Play off I had as a kid. But no breakages this far after 1 month's heavy use. Can be played by up to 4 people at the same time (2 at each side). Whole family loves playing with it and so does all my son's friends (who don't know anything about ice hockey). Stiga Play Off seemed at start a bit flimsier than my childhood one, but seems to be working exactly the same and no breakages yet after 1 months heavy use. Great fun for whole family and my son's friends love playing it as well. Can be played by 4 people (2 at each side) at the same time.